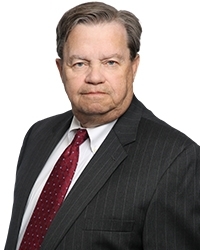 Michael J. Hayes, Sr., is a highly experienced litigator and regulatory attorney. He represents clients in a myriad of state, federal and local regulatory matters involving consumer, public utility and antitrust issues. Michael's wide ranging litigation experience consists of representing clients in suits for injunctive and declaratory relief; civil rights actions, including Title VII employment discrimination matters; contract actions; construction litigation; constitutional and statutory challenges to state of Illinois statutes, rules and regulations; purchasing disputes; labor disputes and personnel matters; judicial review of administrative decisions; and matters related to state appropriations, regulation of healthcare and nonprofit entities. Michael joined Aronberg Goldgehn in February 2019. 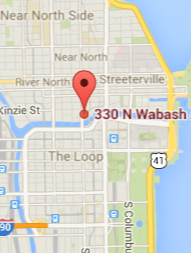 He previously worked in private practice with large law firms in Chicago for more than 20 years. Prior to entering private practice, Michael devoted more than 16 years of his legal career to the Illinois Attorney General's Office where he served in multiple positions, including as the First Assistant and the Deputy Attorney General. He represented public officials, employees and agencies of the state of Illinois involving state interests in litigation at all levels of the federal and Illinois court systems, and before quasi-judicial administrative bodies, such as the American Arbitration Association. Since 2003, he has been recognized annually as an Illinois Leading Lawyer in the Areas of Commercial Litigation, Federal Regulatory Law, Gaming & Casino Law, and Governmental, Municipal, Lobbying & Administrative Law. Michael currently serves as general counsel for the City Club of Chicago. He is a member of the Fenwick Bar Association, a Life Trustee of the Fenwick High School Board of Directors and a past multi-term president of the Catholic Lawyers Guild of Chicago. He is a past chairman of the Chicago Chapter of the National Conference for Community and Justice and a member of the St. Frances of Rome Parish School Board. Michael and his wife Sharon raised their five children in Oak Park, Ill., where they continue to reside. Their four sons are each attorneys practicing law in the Chicagoland area. Michael and Sharon enjoy spending time with their 16 grandchildren. In his spare time, Michael plays golf and cooks. He also enjoys following the White Sox, Bears, Blackhawks and Bulls, and watching his grandchildren in sporting activities. What is your favorite thing about working at Aronberg Goldgehn? The welcoming and generous staff and the comradery among the professionals. What is your favorite weekend escape? Being at my house in Sister Lakes, Michigan, with as many of our 16 grandkids as possible. What is one item on your bucket list? Another White Sox world Series win. What would you be doing if you weren’t a lawyer? Teaching school and coaching youth sports. What is your favorite place in Chicago? Gold Coast, River North and Streeterville areas. What is the best vacation you’ve ever been on? Ireland and Italy followed by a trip to the Grand Titans and Yellowstone Park with my children. What is your favorite restaurant? Trattoria 10. What is something most people don’t know about you? I love to Cook.